WELCOME TO THE SMOG CENTER, INC. Mention our website and get $10.00 OFF on your smog check. The Smog Center Inc., is a family owned and operated Star Certified, TEST ONLY Smog station. We became a TEST ONLY smog station in 2003 after being a test and repair smog station. Smoging your vehicle fast and efficiently is our specialty. Your time is valuable, so our goal is to get the test done fast. We can do this because we have two smog machines, three licensed smog technicians and smogs are all we do. No distractions. Our smog tests are unbiased because we have nothing to gain if your car fails. In fact, WE OFFER FREE RETESTS ON 1996 & NEWER VEHICLES. There is also a five-hundred dollar Consumer Assistance Program available for income eligible consumers that fail the biennial smog test. We are a service oriented business and will answer any questions you have about the CAP process. We will even help fill out the form for you if you like. In addition we have a full time female smog technician on staff and a lot of our women customers feel more comfortable coming in by themselves. 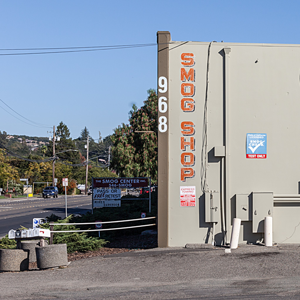 Please come by and experience the advantages of a TEST ONLY smog station.